David Tredway received his B.S. degree in Biological Sciences from the University of California, Irvine in 1996. Thereafter, he attended California Western School of Law, receiving his Juris Doctorate in 1996. He was admitted to the California State Bar in December 1999 and is admitted to practice before the United States District Court for the Central District of California. Mr. Tredway began his legal career with D’Antony & Doyle and joined Doyle Schafer McMahon in 2017. 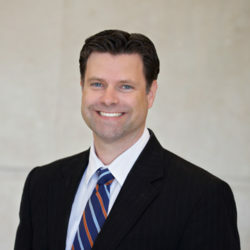 His current practice focuses on medical malpractice and personal injury. He also has extensive experience litigating actions involving discrimination, habitability, employer’s liability, and asbestos exposure. Mr. Tredway currently resides in Orange County with his wife, Kari, and two children.